This month I want to do something a little different than my normal blog posts. I recently spent five weeks in Vietnam and while in this drastically different culture, it made me think about how we relate to each other in Milwaukee. Hear me out for a second. At first, the country seemed so foreign that I could not relate at all, but after spending time there and getting to know the welcoming people, I started to realize that we have a lot in common. Milwaukee sometimes struggles with this because as many of us know, it is a very segregated city. This series called “Finding Affinity,” that I will occasionally post, is meant to help us find similarities in each other rather than differences. If we can connect with one another, maybe we can make the world a more peaceful place. a spontaneous or natural liking or sympathy for someone or something. a similarity of characteristics suggesting a relationship, especially a resemblance in structure between animals, plants, or languages. 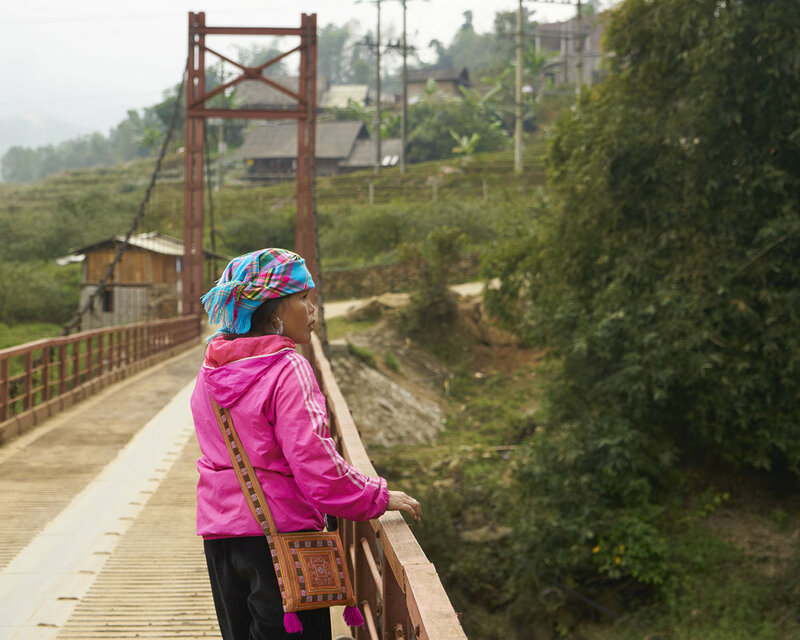 “All of us, we’re not so different.” Those were Sung’s words as she led me through the narrow paths of the rice fields near Sapa in Vietnam. Sung was our tour guide, who proudly showed my friend and I around her village in the far north of the country. We followed her for three days up and down steep dirt roads beneath banana leaves and foggy skies. The only item she carried was her small, vibrant bag draped over her shoulder, made using of the colors of her village. Adversely, we were weighed down with our large backpacks hugging our waists, with the newest back-support technology. It was a simpler way of life that she shared with us, but not necessarily an easier one. Sung is 38 years old, no taller than four and a half feet, with five children and a husband. The family lives with her husband’s parents because that is the tradition in her culture. While Sung works the rice fields and leads tours to support the family (as most of the women do), her husband’s parents take care of the children and the home. Having her children in school, Sung explains to us, is more important than anything because she wants to give them the opportunities she never had. And isn’t that what all parents want? Her daughter recently taught her how to spell her own name because Sung never learned to read or write. Yet, her spoken English is nearly perfect, thanks to the tourists she has talked with every day for the last 6 years. My friend and I shared long conversations with her, revealing pieces of each other’s lives for about 10 hours a day, and we slowly came to realize how similar we are, regardless of the cultural differences. We are all searching for happiness and finding a balance in our lives. Often all of us must compromise our hobbies and desires for our obligations. The moment this all became obvious was when we took a break from hiking to swim in a peaceful river at the base of a waterfall. As I was sitting on a rock drying off, I noticed Sung was perched atop the adjacent boulder with her long hair let out, deep in thought looking over the valley. It was her bold independent gaze that I recognized in myself; a woman determined to achieve her goals, no matter the cost. We often get caught up in the conveniences and privileges in our lives, but we too easily forget that we all want the same things: peace, freedom and happiness. Sung opened my eyes to her way of life and made me realize how lucky I am, but the truth is that we all have challenges and we all have to find a way to make the most of what we’ve been given. On our last day together, we walked up a dirt road with the occasional motorbike zooming by, to sit above what seemed like endless rice fields stretching below us. I tried to imagine what life would be like if I called this home. After sitting quietly next to Sung for a few minutes, I looked at her, and she looked back and smiled.